The development of potent and selective biotherapeutics holds significant promise for the treatment of multiple diseases ever since the introduction of the first human protein therapeutic, human insulin derived from recombinant DNA, in 1982. 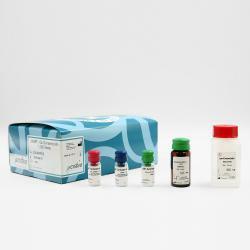 Such therapeutic proteins are much more complex compared to small molecules, and thus require extensive analytical characterizations at every step of the development from lead selection to lead optimization and characterization, including functional activity testing, up to bioprocessing qualification. 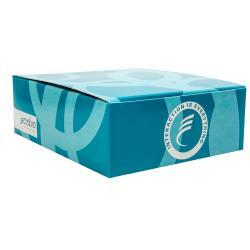 To meet this need, Cisbio offers a comprehensive line of tools for biologics screening, mechanism-of-action studies, and biomanufacturing, using the robustness and convenience of a no-wash technology. 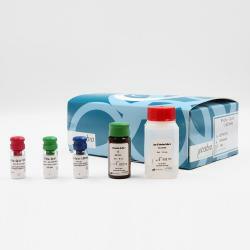 Cisbio’s Protein-Protein Interaction reagents (PPI) are the preferred tools for the scientist who needs to screen medium to large biologics libraries produced by hybridoma or in periplasmic crude extract. The PPI product line displays compelling advantages in terms of throughput, accuracy, speed, and versatility compared to existing state of the art technologies. 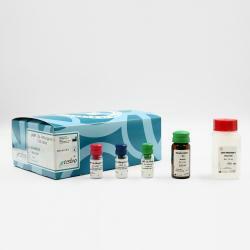 The aim of the assay is to identify antibodies that block the interaction between PIGF1 and the VEGFR receptor. More than 14000 hybridoma samples were screened using this high throughput format. Biologics engineering or lead optimization is a key step to reach low picomolar affinities. The affinity maturation studies should be processed in parallel with epitope characterization analyses to improve the efficacy of your drug candidates. An HTRF epitope competition assay was set up to select engineered antibodies with improved affinities over the parent anti PIGF1 antibody. Learn more about our PPI portfolio! Understanding the biological pathway modulated by your drug is crucial to increase the likelihood of success in biologics drug developments. Cisbio’s cell based functional kits, including GPCRs, cytokines and phospho-proteins assays, provide efficient means to delineate the biologics’ mechanism of action, opening new opportunities for the development of drugs with improved patient clinical benefits. Follow Francis as he ventures into a world of HTRF cell based functional assays. 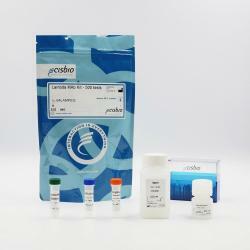 Cisbio has developed a unique platform of Fc Gamma Receptor (FcgR) Tag-lite®-based cellular assays for measuring Fc-specific antibody binding. These assays are ideal for predicting the functional ADCC activity, and can also be used to assess the degree of antibody afucosylation. 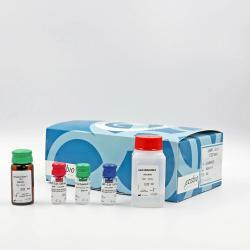 Watch this video to discover Roche Glycart experience with our FcgR assays. Improving the pharmacokinetic features of protein therapeutics has become a major challenge for the development of new biologics over the last decade. The biologics affinity for the neonatal Fc receptor (FcRn) is directly correlated with the drug PK features and corresponding circulating half-life. 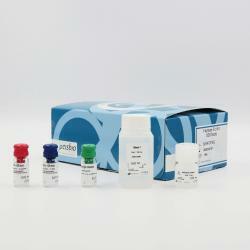 The HTRF Neonatal FcRn binding assay is the ideal tool to predict the PK properties of your drugs in vitro. Our biotherapeutic product line extends beyond antibody development to biomanufacturing and quality control. 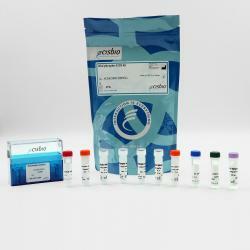 Cisbio proposes ready-to-use kits that quantify antibodies or antibody fragments rapidly, as well as kits for detecting CHO host cell protein contamination. 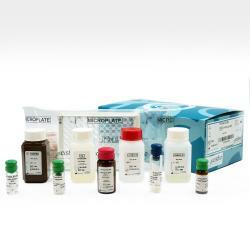 A panel of ready-to-use kits enable you to quantify human, mouse, rabbit IgGs, and Fc-containing proteins. These assays offer a homogeneous, easily miniaturized alternative to conventional ELISAs and are compatible with culture media and cell periplasmic extracts. 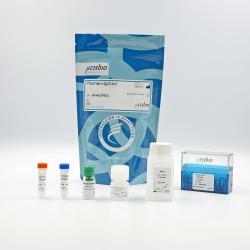 A ready-to-use kit for the rapid, high-throughput measurement of CHO host cell proteins (HCP). 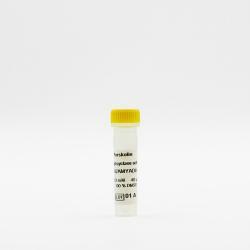 This assay is compatible with samples ranging from crude harvest materials to final products.